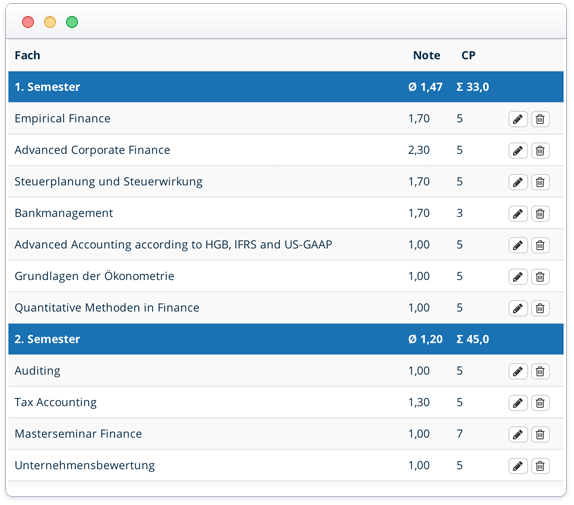 Organize your grades, compare your performance anonymously and find matching jobs & employers. Manage your grades with these handy tools. Check out your achievement in comparison to your fellow students. In addition to grades there is also practical and international experience included. Discover companies & positions that match your personal profile. 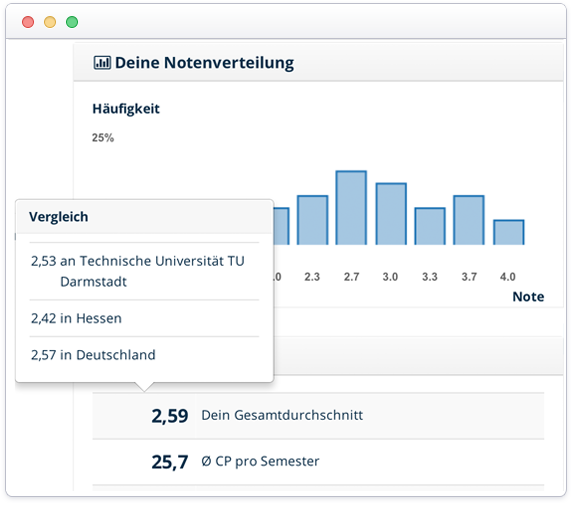 You can immediately access statistics, graphs and reference values for your grades, internships and work experience abroad. Find out which company and what kind of job is a match for you! We cooperate with more and more companies who are looking for interns, student employees, employees for bachelor or master thesis or permanent hire. Our clients include small to medium sized firms as well as major companies. The security of your data is of great importance to us. Your connection to GradeView is secured with 128-bit encryption, your data is saved encrypted and is generally anonymous. Apart from your email address, which is required for resetting your password and for notifications, no other personal information will be collected. Companies also won't have access to your data and are only able to view it anonymously. They have the option of contacting students internally - for the purpose of informing them of an internship that matches their profile for example. This option is only available within the portal and they will not be able to access your email address. Our support team is happy to answer any questions you have. Just use the feedback function on the edge of the screen on the left. Detailed answers can also be found in the FAQ section.